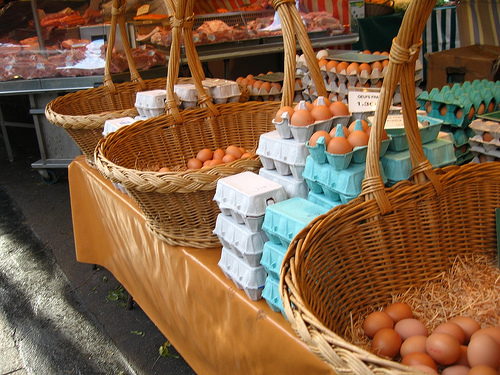 “Don’t put all your eggs in one basket” is a well-known idiom that perfectly captures the ideas behind investment diversification. Part of the thrill of investment involves the introduction of risk to your capital in pursuit of better rewards, but no-one wants to risk their hard earned cash unnecessarily. Some investment opportunities will inevitably come with a higher element of risk than others, but diversification can help you keep risk levels at a minimum. Diversification can reduce risk to your capital. By placing your funds in a variety of different avenues of investment, you can smooth some of the ups and downs of the market. Risk reduction through diversification is based in the simple concept that fluctuations in the market will affect different areas of investment in different ways, so if one avenue of investment fails it is unlikely to take the others down with it. The most basic form of diversification involves dividing your capital between a range of different asset classes such as bonds, stocks, gold or property etc, in the hope that they will not all fall across that board, and while some may fall in value others can rise concurrently. You can also diversify within your asset classes. For example, you can buy stocks in a range of companies or industries that are not linked. While you may lose out in one industry your investments are unlikely to fail across the board. Of course, diversification will also mean that if one investment is very successful you stand to benefit less because, but for many investors, this is a small price to pay for the benefit of reduced loss. As well as reducing your overall risk diversification can help temper the risk of high volatility investments because only a small proportion of your invested capital relies on any one form of investment. Diversification is particularly suitable for the more risk-averse investor. In an uncertain market with heightened levels of risk diversification can be a particularly useful way of minimizing the threat to your capital. Moving towards a more diversified investment portfolio can be a common-sense move, particularly if you are investing to generate a retirement income, or would like added security for your investment.